Change things up with these side-trips from Perth: Fremantle (Fremantle Prison & Fremantle Markets). Dedicate the 25th (Mon) to wine at some of the top wineries in the area. 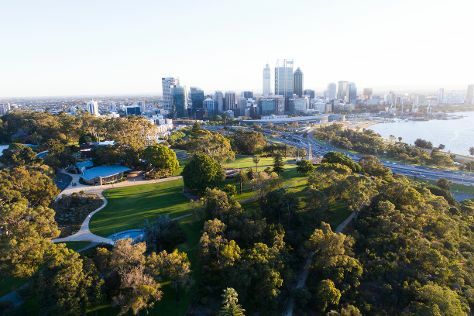 There's lots more to do: walk around Kings Park & Botanic Garden, take in the spiritual surroundings of St. George's Cathedral, get to know the resident critters at Perth Zoo, and pause for some photo ops at Kings Park War Memorial. To find reviews, photos, where to stay, and other tourist information, use the Perth tour planning website . Use the Route module to see travel options from your home to Perth. February in Perth sees daily highs of 38°C and lows of 20°C at night. Finish your sightseeing early on the 25th (Mon) to allow enough time to travel to Adelaide. Dedicate the 27th (Wed) to wine at some of the top wineries in the area. 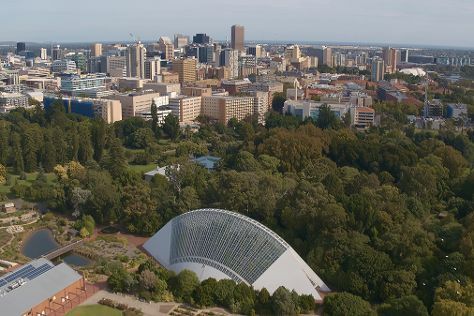 The adventure continues: take in nature's colorful creations at Adelaide Botanic Garden, get engrossed in the history at South Australian Museum, get to know the resident critters at Adelaide Zoo, and browse the eclectic array of goods at Adelaide Central Market. To find photos, ratings, more things to do, and more tourist information, use the Adelaide trip itinerary builder . Fly from Perth to Adelaide in 5.5 hours. Alternatively, you can take a train; or drive. Traveling from Perth to Adelaide, you'll lose 1 hour due to the time zone difference. Expect slightly colder weather when traveling from Perth in February: highs in Adelaide hover around 32°C, while lows dip to 19°C. Finish your sightseeing early on the 28th (Thu) to allow enough time to travel back home.